Succeed in ways you never thought possible. Communicating about legal issues in an understandable and accessible manner. Years of experience and industry knowledge means that Robin Bond has frequently been called upon by a broad range of media to provide legal commentary in the field of employment law. View some of Robin's media appearances on her YouTube channel below. Based upon the thousands of clients who have learned how to negotiate a killer job offer using her proactive negotiation process, attorney Robin Bond has distilled her negotiating secrets into a short, nut-and-bolts, how-to employment guide that helps employees level the playing field in job offer negotiations. Her strategies for negotiating success can be successfully applied to any situation. 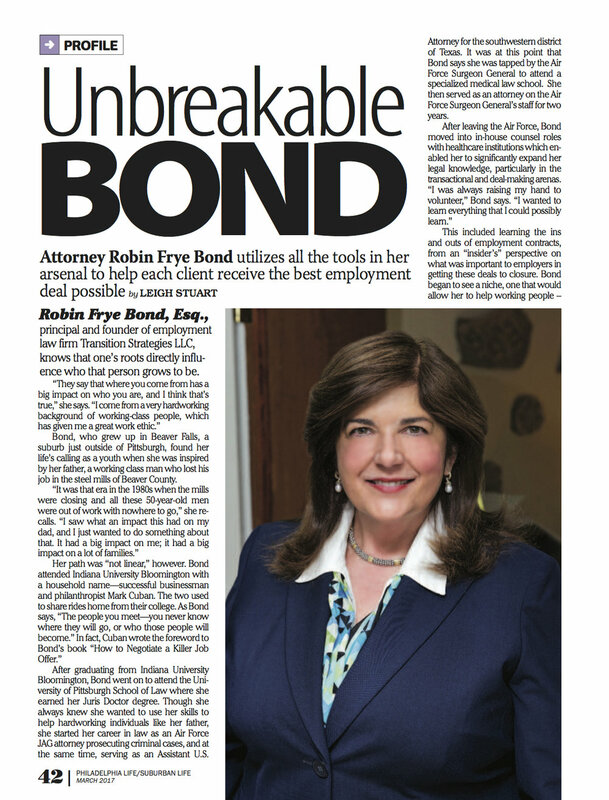 Attorney Bond has created sample negotiation scripts and letters to hiring managers that you won’t find elsewhere. She shows you how to build rapport when you negotiate and showcase your executive potential. Learn how to: analyze a job offer, make an apples-to-apples comparison between offers, get more money in a deal, and even tackle the tough issues of securing stock options, long-term incentives and severance pay promises in your job offers. Mark Cuban of "Shark Tank" wrote the book's foreword. "How To Negotiate A Killer Job Offer" is available for purchase in paperback and e-reader formats through Amazon. A collection of firm updates, industry news and legal happenings to keep you up to speed on the world of work. View our recent newsletters below and subscribe using your personal email address to have future newsletters emailed directly. Sign up with your personal email address to receive news and updates. 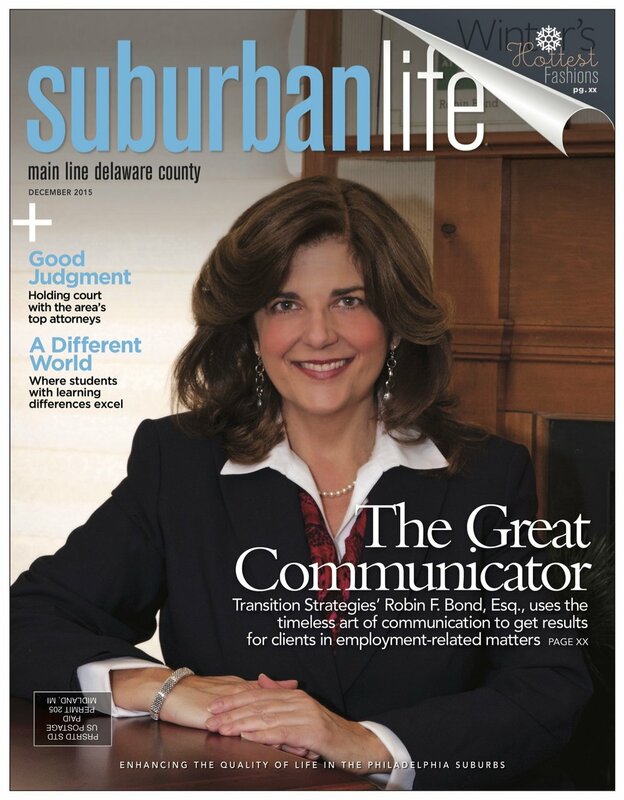 Robin appeared on the cover of the March 2017 edition of Suburban Life Magazine, and was featured in a story about her grit and dedication to her clients titled, Unbreakable Bond. Read the full story online, or view the printed version below. Transition Strategies, LLC is a team of tenacious lawyers, effectively advocating for our clients at every stage of the employment relationship.